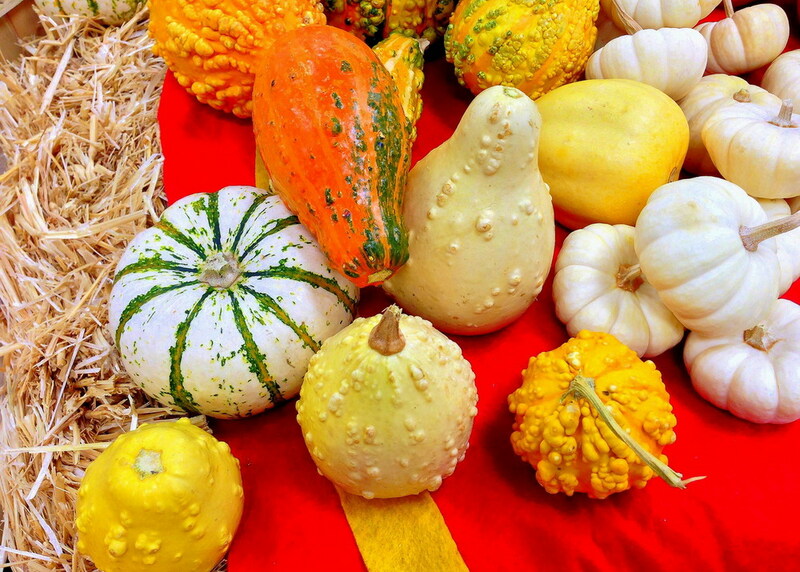 Pumpkins, winter squash and gourds, oh my! Teresa’s recent haul. All photos courtesy of Teresa O’Connor. Seasoned garden speaker, writer and author Teresa O’Connor shares her personal harvest along with tips for growing and serving these hardy Autumn fruit of the vine. Along with crisp fall air, lots of sunshine and brilliant, colorful leaves, autumn always steals my heart with its abundance of pumpkins, winter squashes and gourds found at farmers markets, grocery stores and garden centers. These fall treasures play starring roles in my fall home decorations, from ornamental gourds on the table to the pair of pumpkins proudly guarding my front door. There are an impressive number of varieties available these days, including the miniature white ‘Baby Boo’ pumpkins (shown above), which are both decorative and edible. If you’re growing them in the garden, be sure to harvest them before they are fully mature. 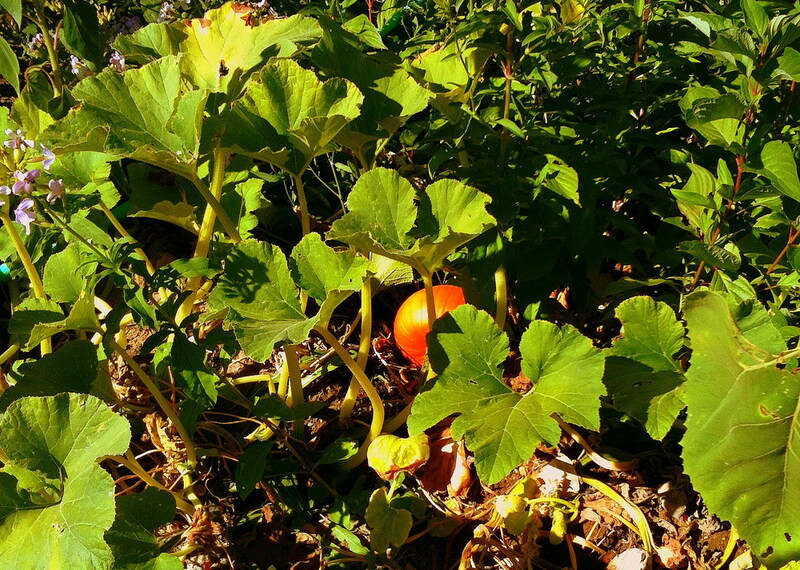 Otherwise, these tiny pumpkins will turn yellow when completely ripe. The fact that pumpkins, squashes and gourds enjoy the same growing conditions isn’t surprising, since they are all members of the Curcurbitaceae plant family. These warm-season plants—which are botanically fruits, not vegetables—should be grown in full sun after the last frost date in spring. I grow mine directly from seeds sown in rich, well-draining soil, which has been amended with compost and worm castings. I try to water at the roots and not wet foliage, which helps reduce the chances of fungal diseases. I also don’t plant pumpkins, winter squash or gourds in the same place more than once every three years because crop rotation cuts down on pests and plant diseases, too. You’ll need plenty of room to grow most pumpkins, winter squashes and gourds because a single vine of pumpkins can grow 20 feet long or more. 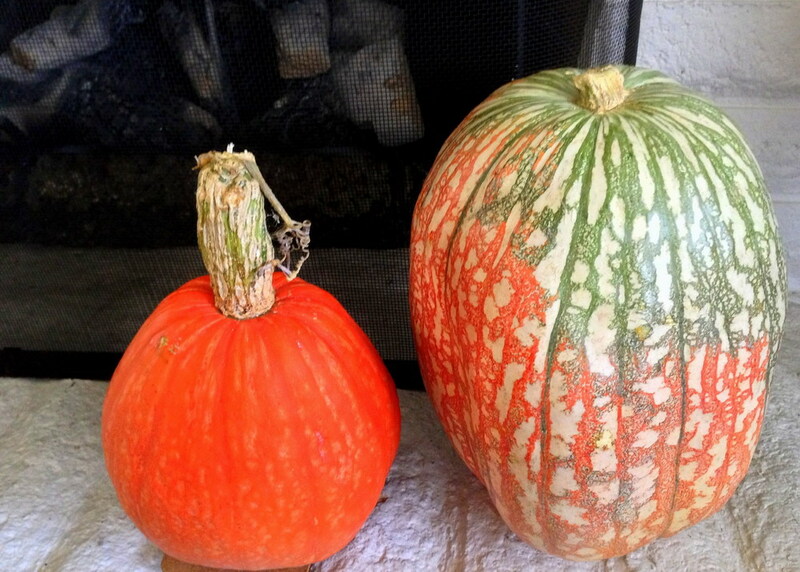 The winter squash ‘Lakota’ (Cucurbita maxima) on the left came from my summer 2013 harvest. It’s supposed to have green streaks, but mine was pure orange. The speckled ‘One Too Many’ pumpkin on the right was purchased at my local grocery store. In the garden, this F-1 hybrid is resistant to mildew and some viruses. Most of the hybrid’s pumpkins are round, but about 25 percent are oblong like the pretty one I bought. Rich in vitamin A, fiber and healthy phytochemicals (which may have cancer-fighting antioxidant properties), pumpkins and winter squashes appear in many of my family’s fall and winter meals. We use them interchangeably in pies, quick breads and soups. We roast acorn squashes, before stuffing them with cooked ground turkey and sage. We then top the stuffed squashes with cheese and re-bake until warm. Other times, we’ll mash butternut squash with cumin, black pepper, a pinch of cayenne and feta cheese. Give it a try if you’re tired of traditional winter squash recipes with brown sugar and marshmallows. 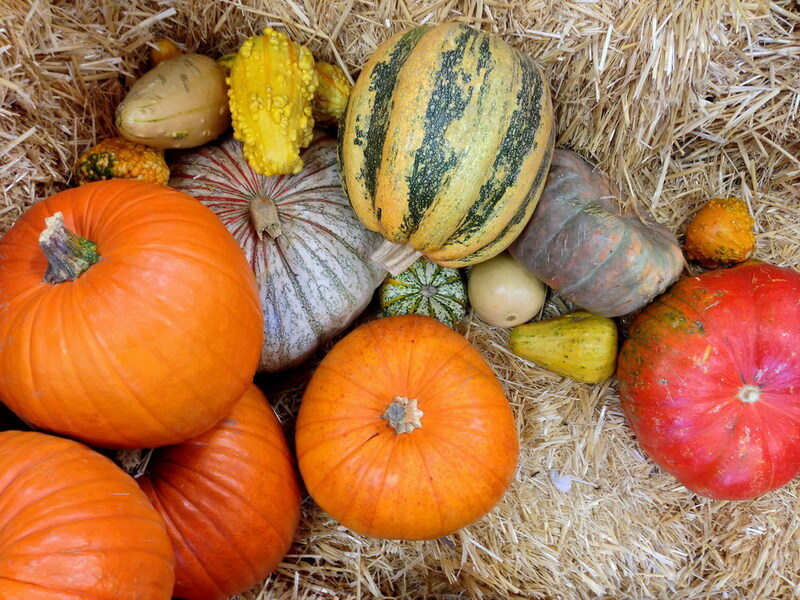 Most pumpkins and winter squashes will last months if stored in a cool, dry place. That means being able to squirrel away enough for more than a few healthy and delicious meals for everyone to enjoy. So use your imagination and go crazy! This entry was posted in Fall Gardening, Fall Gardens and tagged fall garden, fall gardening, gourds, growing gourds, growing pumpkins, growing squash, pumpkins, Seasonal Wisdom, squash, Teresa O'Connor, winter squash, winter squashes. Bookmark the permalink. Loving reading here! And love winter squashes, especially the marrow, which you did not mention. Mostly we eat them just with butter. Oh, my!